Congratulations on your Engagement! Now its time to celebrate with your family and friends – but don’t know where? Settlers Run is well known for hosting stand out events, speicailising in engagement parties. With modern facilities and a magnificent outlook across the golf course and city skyline this space is sure to impress your guests. Your engagement party will have your own private bar and fairy lit terrace. 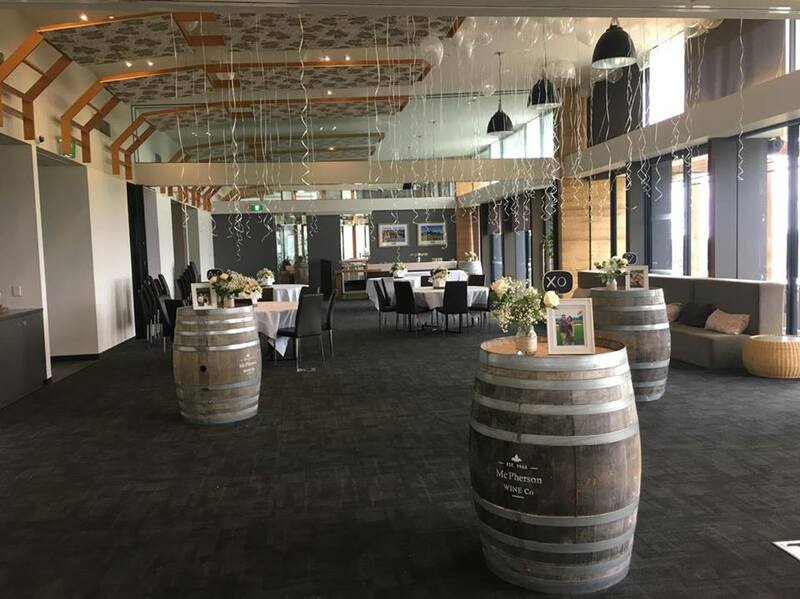 Your guests can relax in our lounge style seating area or enjoy a beverage around the included decorative wine barrel bar tables. Our Event Manager will meet with you to discuss all your room arrangements and requirements for your special celebration. Then the room is all yours to add your own personal touch. When should you book your engagement party ? The engagement party should fall within a few months of the proposal, right in the sweet spot between carefree, just-engaged life and the start of serious wedding planning. You’ll want to give guests about a month’s notice, so about 9 to 11 months before the wedding is the ideal time frame. 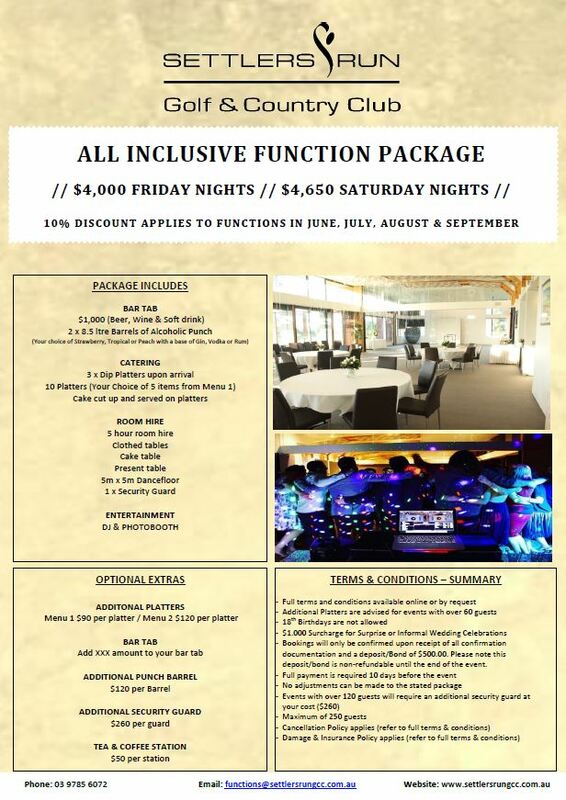 Check available dates with venue – Pick a date – Book it in – Secure it with a $500 deposit – Organise suppliers and decor – Enjoy!